Dubai, UAE, August 02, 2018: Cookut, one of the many cool kitchen & dining brands we have in stores, is a young French company that aims to inspire people to rediscover the fun of cooking at home. What makes Cookut stand out from the rest (and why we love this brand) are its eco-friendly utensils that limit you from using electricity and gadgets while cooking. Make frothy cappuccinos and rich milkshakes, enjoy a chocolate fondue set for two using just a candle and easily grill juicy burgers on your next camping trip with Cookut. Raise your hands if you were born from the 80's and '90s! Who can forget about the all-time classic rivals and frienemies, Betty and Veronica? The duo popularized from Archie Comics is about to land in Virgin Megastores. When we think of fashion, we love bringing in brands that are trendy and classic pieces that people can easily resonate with. With the chart-topping Riverdale TV series on air right now, the duo continues to inspire the younger generation and those young at heart. 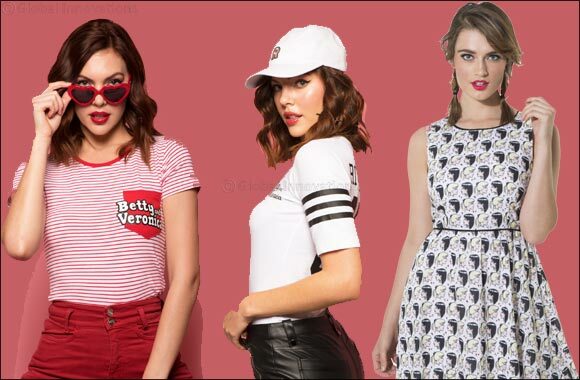 Whether you are Team Betty or Team Veronica, look hip and stylish all day long with tees and dresses from Betty and Veronica. We, at Virgin Megastore, are fans of quirky and fun products which is why Artsy Doormats has caught our attention! Known for creating and designing unorthodox and whimsical doormats, Artsy Doormats can easily put a smile on anyone's face who spots it. Why opt for a plain boring doormat when you can express your personality right at your doorstep? Fan of Star Wars? A 'May The Force Be With You' rug is definitely up your alley. Amplified was born out of love for all things that rock. Founded in London in 2004, Amplified has established itself as the leading music-inspired brand specializing in tees for retro and classic rock bands. With our aim to be your one-stop shop for all your entertainment needs covering lifestyle products such as fashion and music, we knew having Amplified in our stores fits our brand's core DNA. So if you love flashy arena concerts, vinyl, mixtapes, EPs, and rock music just like us, then you better make some noise with Amplified's tees. Are you really a true fan of Pink Floyd or Guns N' Roses if you do not have a t-shirt of them? Ask any true stationery lover about their go-to places for the coolest stationery items and they definitely will tell you that Virgin Megastore is one of them. From minimalistic & monochromatic planners to bedazzled and colorful agendas, we've got it all for you. If you are on the hunt for journals that can help you maintain an optimistic outlook in life, then Galison's range of creative items are what you are exactly looking for. Galison offers a range of stationery products that bring art into everyday life with positive sayings to help you kick-start your day.